New installations of Word 2016 on a PC have a default font, Calibri, 11 points. Macs use Cambria 11 points. 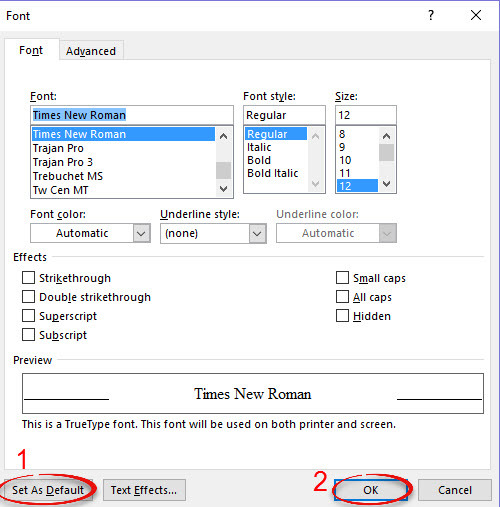 You can change the font default so any time you start a new document you don’t have to change the font to the one you prefer. This process also works in Word 2013 & 2010. Step 1: Under the Home tab, select the Font dialogue box. 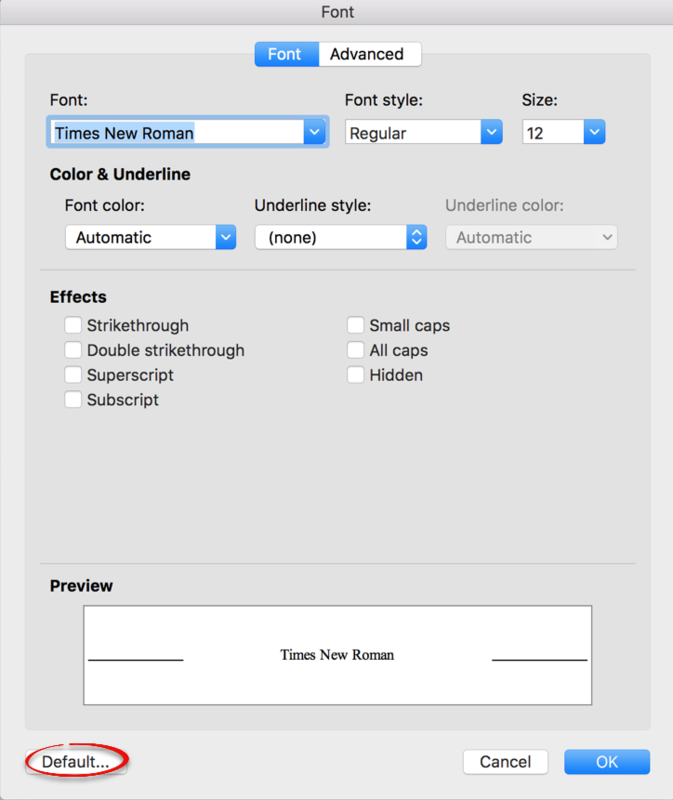 Step 2: Change setting to match example or use your favorite font and point size. Click Set As Default…, then OK. Step 3:Select All Documents based on Normal.dotm template, then click OK.
You will only need to do this once per computer. You will only have to do this once per computer.